The Pharaoh's Tut hookah stands at 26" tall and has three little pears on the stem to increase airflow throughout the hookah. The base is threaded for ease of use and also creates a perfect airtight seal every time. This Pharaoh's Tut hookah will come in a Pharaoh's box and comes with tongs, a hose and a bowl needed to kickstart your smoking adventures right out of the box. Additionally, this hookah can easily be converted into a 4 hose hookah if if you are in the market for a multi-hose hookah. 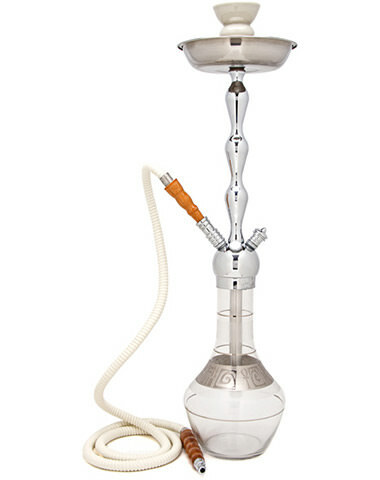 26" Pharaoh's Tut Hookah has a average rating of 0 stars out of 5 stars based on 0 reviews.